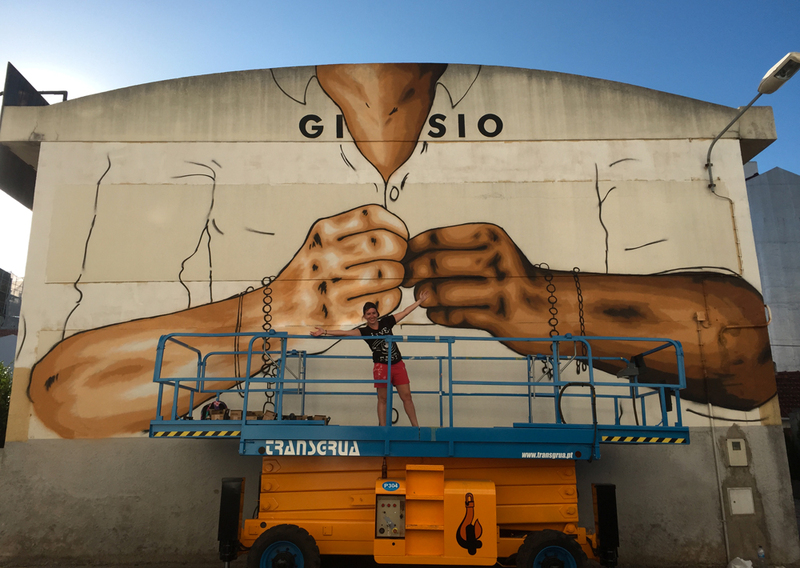 The municipality of Loures, in the suburbs of Lisbon, just organised a large street art festival reuniting around 80 local and international artists. For this occasion and given recent events, I decided to spread a message of love and unity! 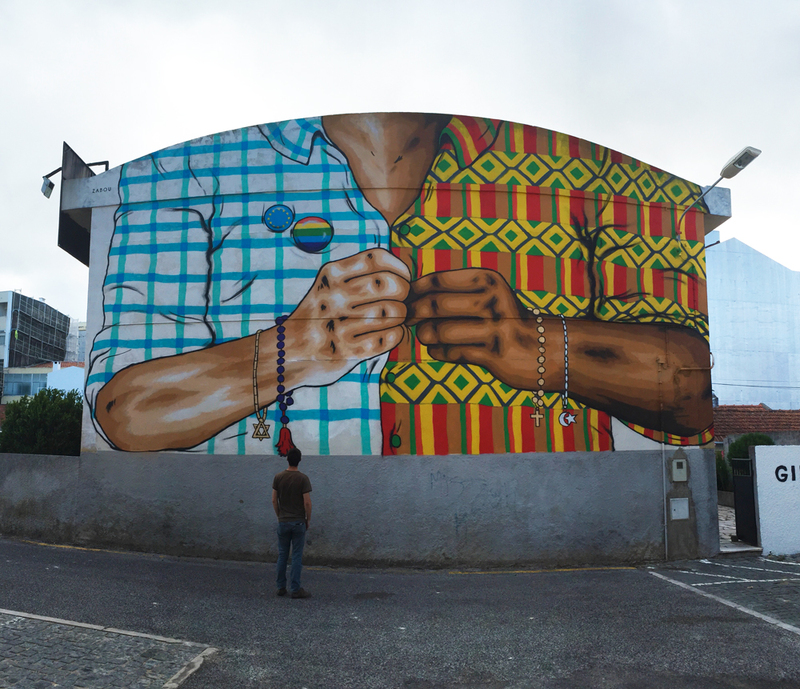 My mural, entitled “Together”, pictures a person with both light and dark skin, buttoning a shirt with both African and European patterns. Bracelets from different religions are hanging from his wrists. Let’s be united against terror, discrimination and violence. 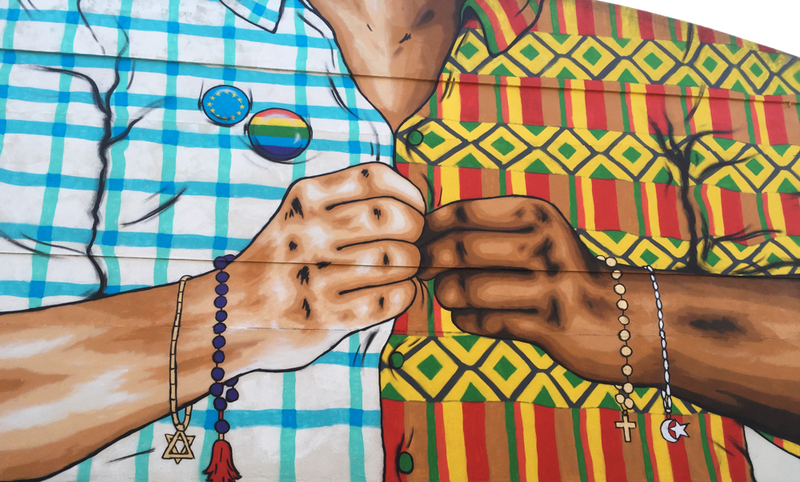 Across all cultures, nations, religions, genders and politics. 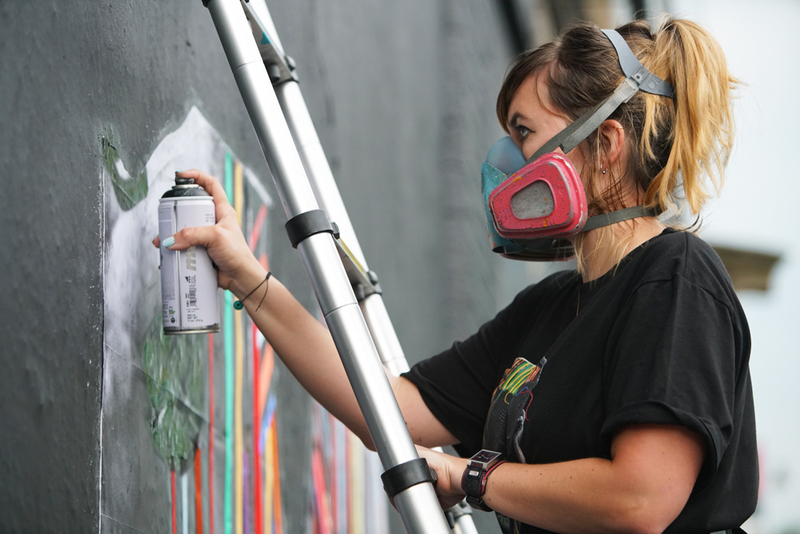 City of Colours is back this year again as one of the UK’s biggest street art festivals. 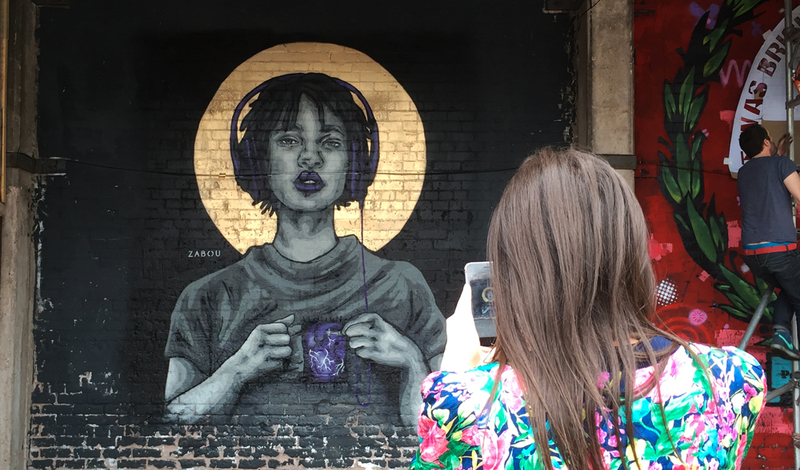 Taking place in Birmingham for a weekend, the event featured live art, music, workshops, shows, street food and much more. 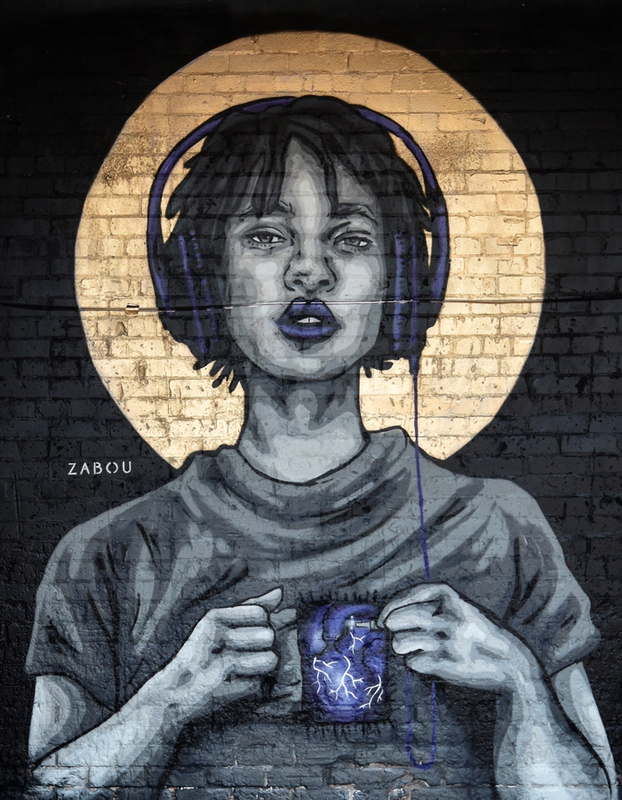 I painted a portrait inspired by Willow Smith – with headphones plugged into her heart. 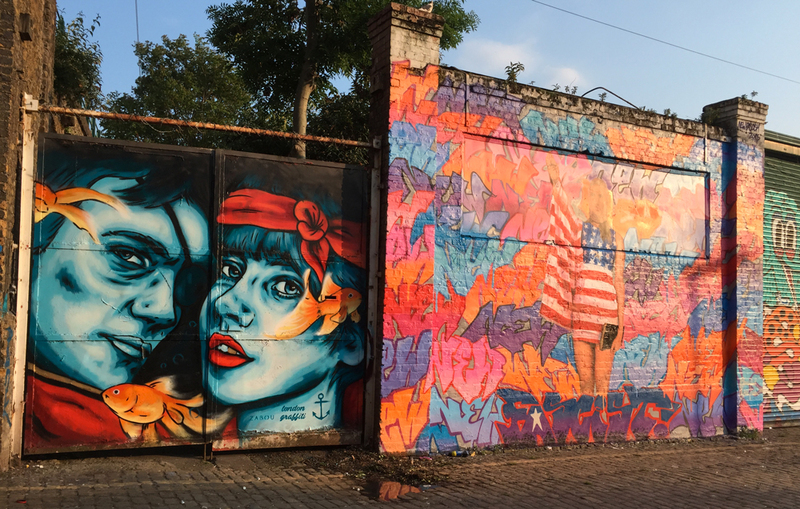 Mexican artist Villana and myself did our second collaboration to date, this time for international charity Child Labor Free. 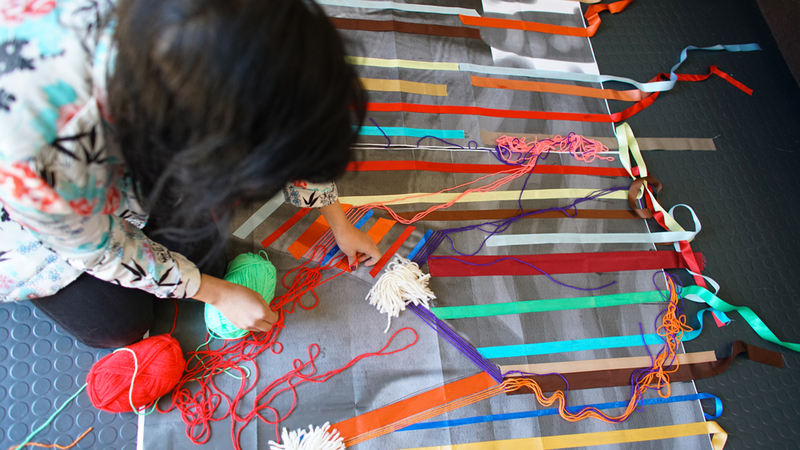 The charity aims to tackle child labor around the world by putting pressure on brands and companies to adopt better business systems and work ethic. 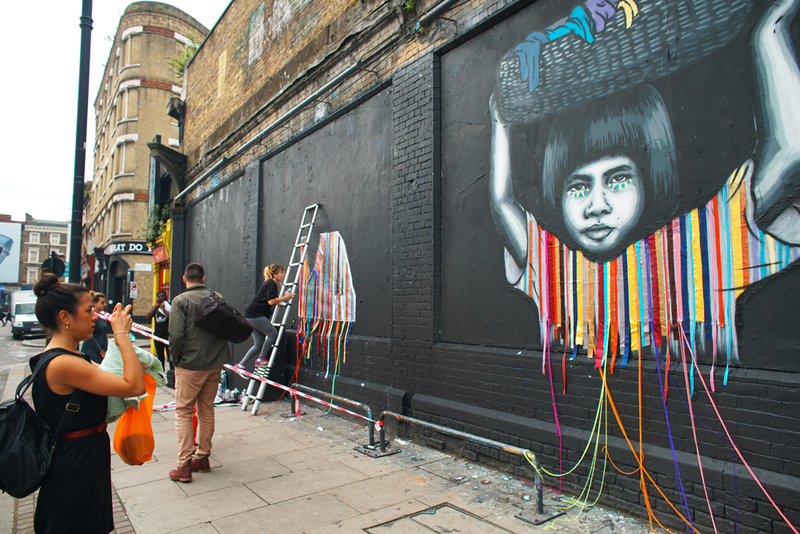 The mural was painted on the Shoreditch Art Wall in London and will be visible for two weeks. It is a mix of yarn/paste-up (Villana) and stencil/free-hand spray painting (myself). 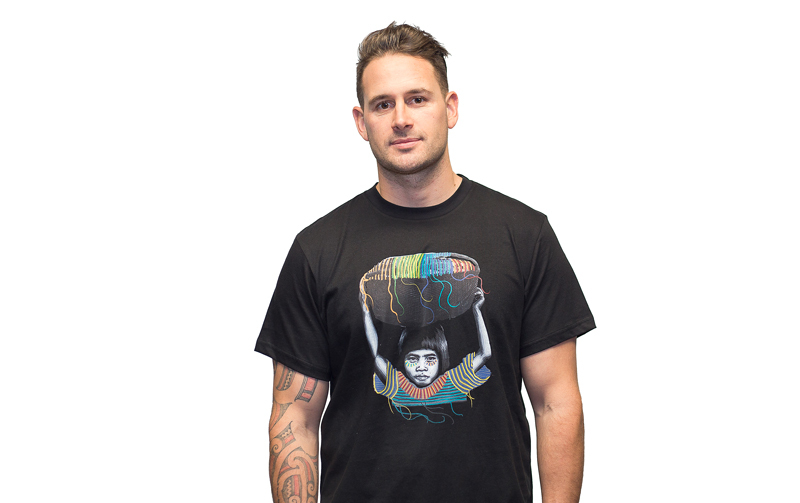 The charity is selling some beautiful T-shirts to support a project in India. All profits raised from the sales go to establishing a childcare centre in the Freeset complex, to provide high risk children, access to care and education services. Check out the T-shirts here! 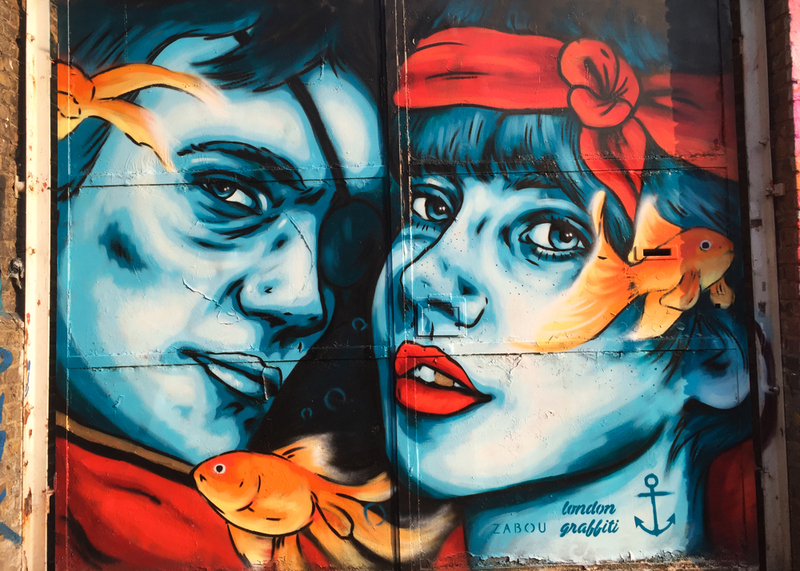 Back in Hackney with this Regent’s Canal inspired piece called “Pirates”, which features a couple underwater surrounded by goldfishes. 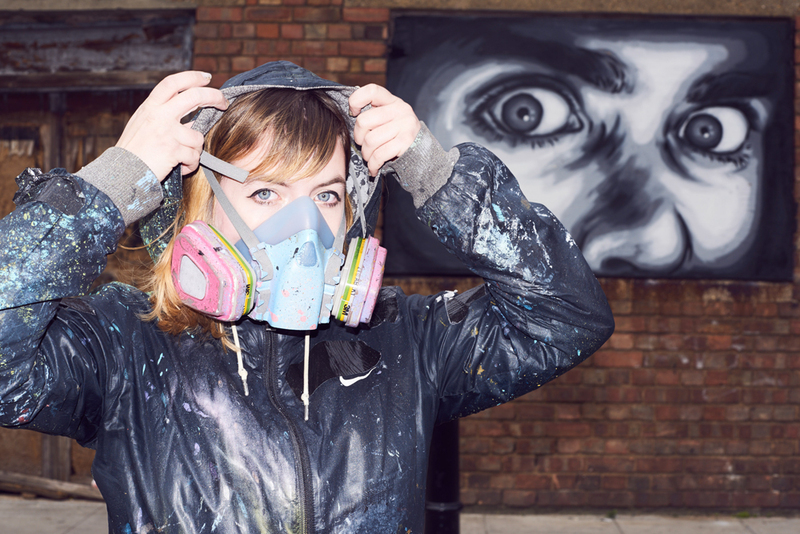 The image is based on two portraits taken by photographer Bartek Szmigulski. 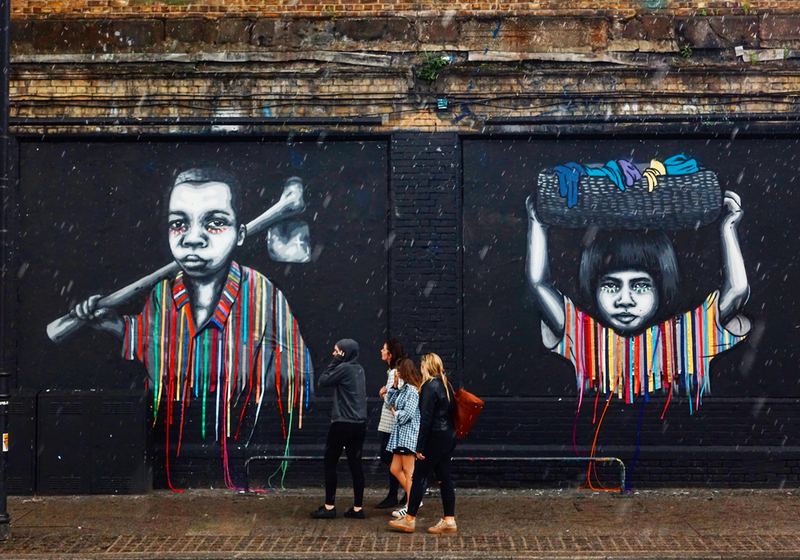 The wall has been arranged by Dan from LondonGraffiti, and is adjacent to a mural recently painted by Berlin-based duo Paul Punk and Nick Flatt. 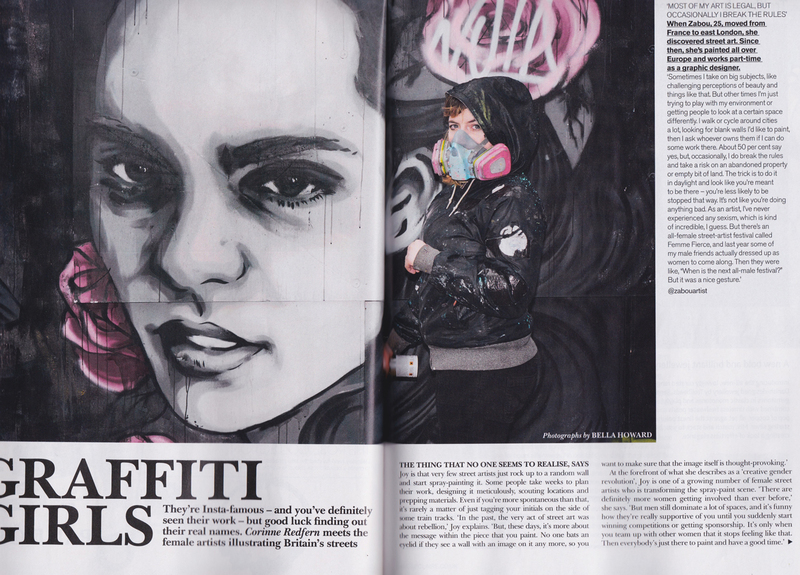 The July edition of international fashion magazine Marie-Claire features an article about four UK female street artists: Artista, Uncandy, CBloxx and myself.